In her own words, here. 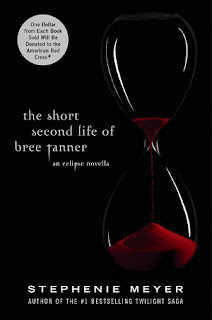 It's called The Short Second Life of Bree Tanner, and it's about one of the vampires in Victoria's not-so-victorious army. So, that sounds fun! I'm definitely the type that will read it for free online. It will be at www.breetanner.com from June 7 to July 5. The book itself will be released June 5, and "One dollar of each book purchased in the US from the first printing will be donated to American Red Cross for their relief efforts in Haiti and Chile and other parts of the world where people are in great need." There will also be an online donation option. Yeah, I thought the movie was cool as a kid. The passage of time, however, has made the movie literally ridiculous to me. Like, I like to ridicule it. Well now it is even more ridiculous, because the book is so different! Yes, there is the familiar. Boy named Bastian (which makes SO much more sense now that I know the book was translated from German). Atreyu, Falkor the luckdragon (who is way more awesome in the book), AURYN the amulet. But there is also tons more that never made it to the movie. Fantastica (not Fantasia, as I thought) is always throwing new and crazy things at you. And Mr. Ende is very descriptive. 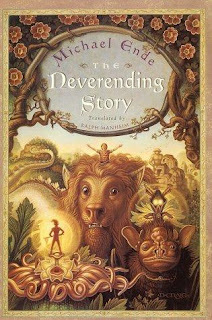 Which made The Neverending Story, in my opinion -- dare I say it? -- a little long. I really liked it. I did stop for a while in the middle because Bastian was being such a pudding-head for so long that I couldn't take it anymore. But I picked it up again and finished the rest in one go. I really like how it ends. I remember a little bit from the movie The Neverending Story Part 2, and lets just say if you never saw it, don't bother. The book, on the other hand, is good. Anyone else remember the movie? Have you read the book? This one is realistic fiction set in the early '60's in Jackson Mississippi. 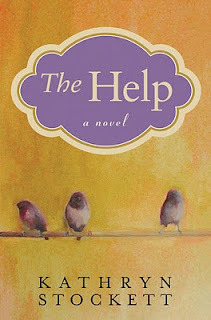 Thus it follows that "the help" refers to the black women working as maids in white homes. This was definitely the best book I've read recently. It was very well done -- the writing, the realism, the characterization. Personally, I think that books about/around the Civil Rights movement can get very tired very fast if they're done poorly. This book was nearly 500 pages, and relevant the whole way through. We get the story from three perspectives -- two of them black maids, one a young white woman who is secretly creating a book of interviews of the help. It was so easy to relate to each of these characters. And I loved (love-love-loved) that even though Miss Skeeter was the most sympathetic character (to myself, and the author, it seems) and even though she was lying for what could be deemed a worthy cause -- she still saw the consequences. When you lie to someone, your relationship with them deteriorates. And I loved that Stockett included that in the book. It might have been "easy" or "nice" to gloss over or to fix up again at the end, but sometimes, really, the damage is done. So I found it very realistic. And enjoyable. I laughed out loud at the funny parts, felt suspense, anger, and sadness. I loved the discussion about the uses of Crisco! Anyway, I'm looking forward to the book club and talking more about it. Over at author Bree Despain's blog she's got a contest running. Her first book was called The Dark Divine (I have an ARC, I just haven't read it yet). Her second book now has an official title. Guess the real title or a funny title with the proper initials, T.L.S., and you could win a prize. It's taken me a while to get to this one. I'd had it on hold at the library for forever, and so of course it would finally come in just a week before I was scheduled to have a baby, which also happened to be right smack in the middle of Cybils month. Anyway. I had to let the hold expire and then re-request it. So now I've finally read it. And ... I liked it. I did. I did have some issues with it, though. The storyline, the concept of it, is really neat. The hound and the bear must come to trust each other and discover their own magic, along with the true nature of their deepest selves, all while fighting against the Unmagic that threatens their pasts and the future. But I didn't feel like the concept got carried off as well as it could have. Some of the transitions left much to be desired. I just felt a little whiplashed at times. I won't give specifics for fear of spoiling the plot. The first half of the book feels really slow. I spent most of it wondering, well who's the "princess" half of the title? She never showed up. To alleviate any similar confusion you might experience, if any of you should choose to read this book, the hound is the "princess." She's not really a princess, but I guess in the previous book she had a brief stint as a human princess, so to keep the titles parallel (The Princess and the Hound, The Princess and the Bear), the author decided to call her one. In the title. I know, confusing. 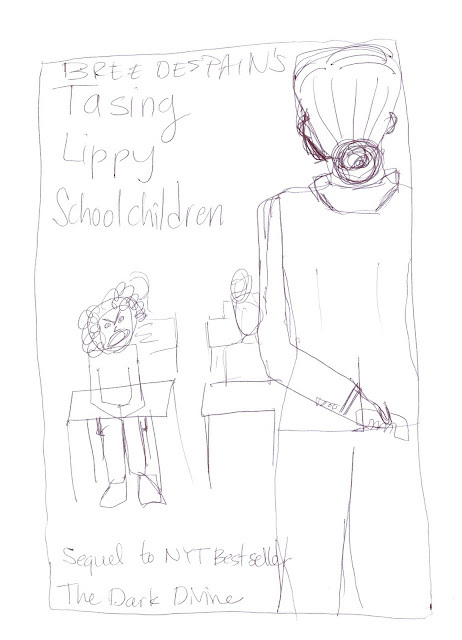 And then the second half of the book flies, sometimes too quickly (hence the whiplash). All in all, though, it was a neat story. I left it wishing the first part had been condensed and the second part fleshed out, however. That's my take. I recently had the pleasure of borrowing this one from a friend. I had heard good things about it from all sides, including the back cover which said something about Wodehouse (a favorite author of mine). It did take me a few chapters to get into it. We're introduced to Flora in London, where she seemed a bit over-the-top to me. Then we see the farm without her, which is utterly depressing. When Flora got to the farm though, the ball was really rolling. She proceeds on her mission to tidy the place, and the lives of it's inhabitants, and gets some pretty comical reactions. The book has a kind of sly sense of humor, and I love that the author starred the best passages, to help reviewers. Hehe. And the ending was just perfectly perfect. Two thumbs up. I'm given to understand it's a movie as well -- I'll have to check it out.